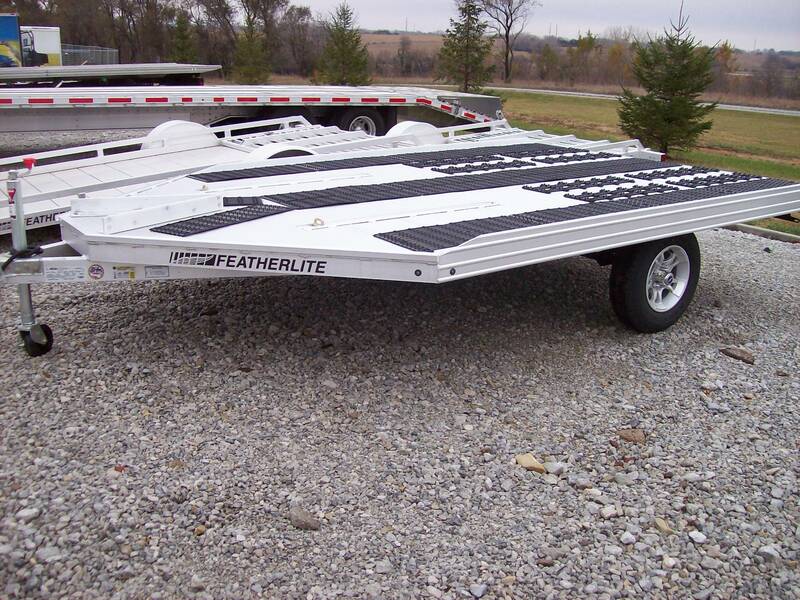 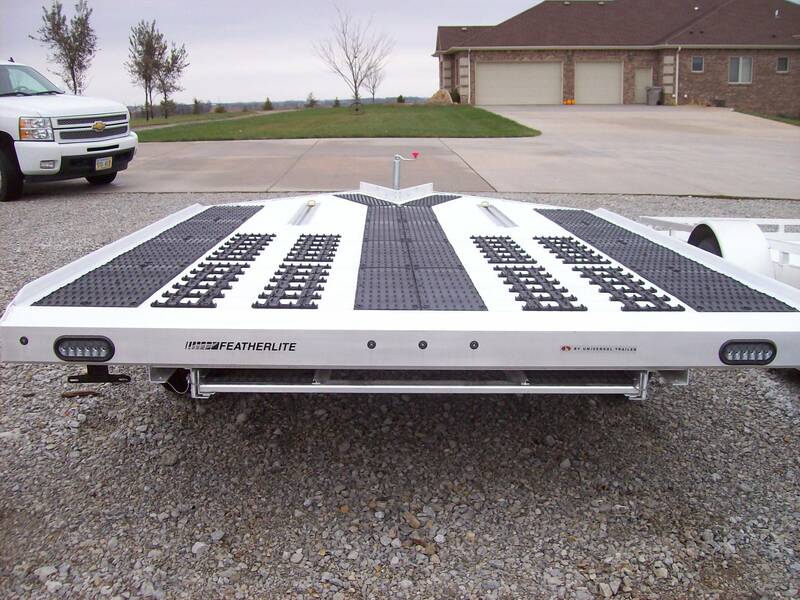 Brand new deluxe model of Snowmobile Trailer (2-Place) from Featherlite. 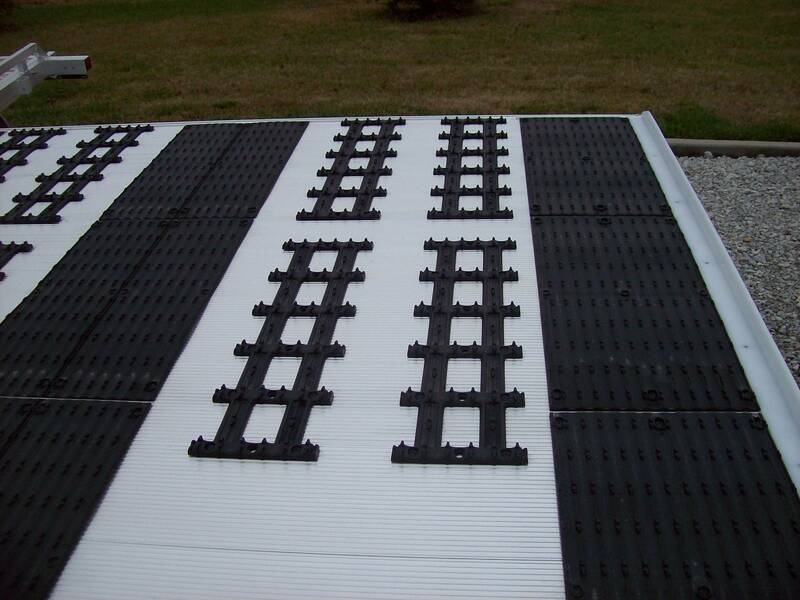 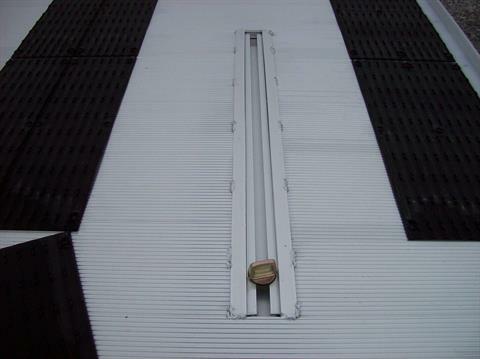 Features: All aluminum construction (no plywood) 8.5' wide x 10' long pus v-nose. 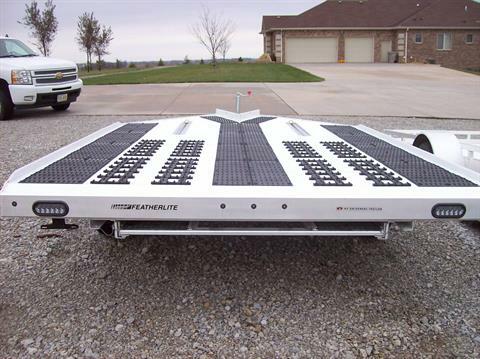 The ultimate "Drive On, Drive Off" 2-place snowmobile trailer. 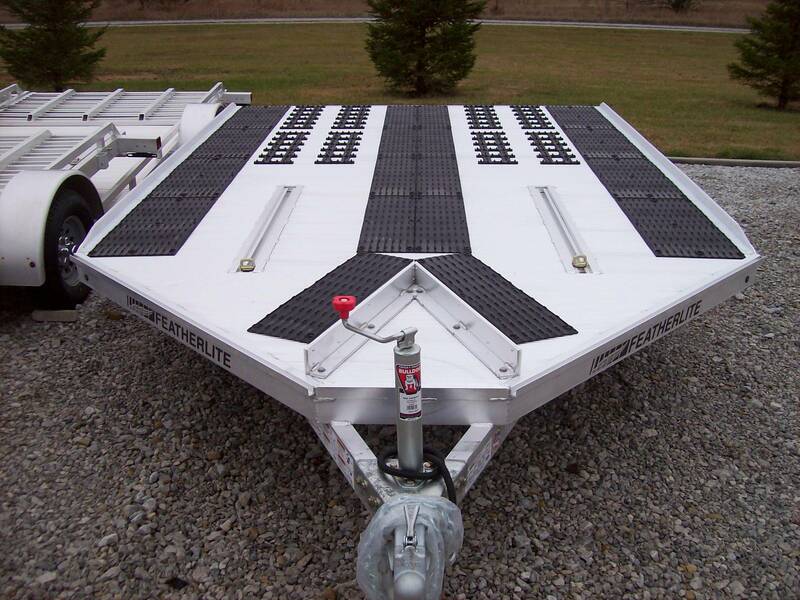 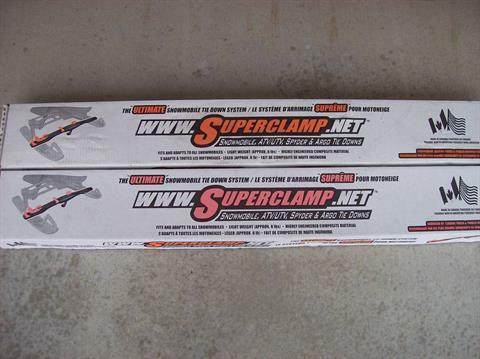 All equiped with the best in adjustable ski-hold downs, grip glides and traction mats on trailer and on pull out ramp. 2200 lb rubber torsion axles, L.E.D lighting, aluminum wheels.